Highmoor is a spectacular nature reserve located 25 minutes from Giant’s View Estate. 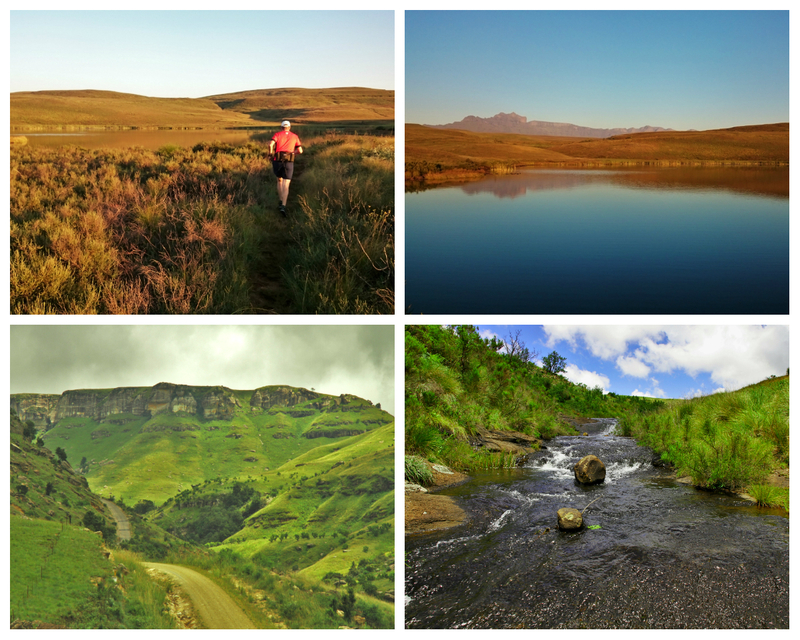 It forms part of the Drakensberg Mountains and is situated in the central region of the Berg with the Kamberg Nature Reserve to the South and Giants Castle Nature Reserve to the north, Highmoor is something of a mountain wonderland. Highmoor is in many ways the Drakensberg’s best kept secret as it boasts the widest mountain views of the mountain range yet is unknown to most people. We often drive out there for hikes, trail-runs, early morning skottle brekkies or for sundowners overlooking their beautiful dams that have incredible mountain view backdrops. There are always very few people there and it is a spot that has so much to offer. It boasts excellent rock art sites which can be visited by arrangement, three trout dams, two caves that hikers can overnight in as well as seven tastefully concealed campsites making it one of the nicest places to camp in the Drakensberg. The drive out to Highmoor is absolutely breathtaking, from the Springrove Dam elevated views, the beautiful farms that go on for miles and the winding roads that lead all the way up to the reserve. Do yourself a favour and take a drive out to Highmoor you will not be disappointed and it will definitely leave you coming back for more. I grew up on the Midlands Meander in Rosetta and I absolute love the beauty of the area and all it has to offer. I am a Mom, a blogger, a marketer and a Non-Profit founder. I am passionate about food, cooking, wine, music, loving people and finding new adventures. I now live in the big smoke (Jhb) and visit the Midlands every couple of months. Email me on shellsobey@gmail.com if you would like a review done on your business. Shelley Sobey.